MARINA DI BIBBONA - The Italian culinary world is in mourning after new broke Tuesday that beloved Michelin-star winning chef Luciano Zazzeri had committed suicide. Zazzeri, owner of the La Pineta restaurant on the Tuscan coast, was famed for his affability and his love for the sea. 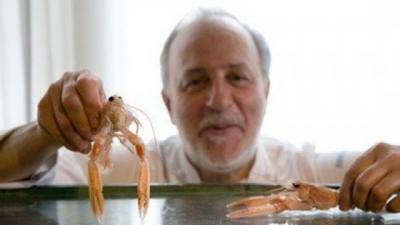 He is noted to have often referred to himself primarily as a fisherman rather than a chef. He grew up into a culinary family and took over the reins at La Pineta in 1987, 23 years after it was founded. He subsequently oversaw the restaurant’s transformation it into the revered restaurant it is today. Zazzeri, who is thought to have been seeing a psychologist, was found in his parent’s garage having taken his life with a rifle. He leaves behind his wife and his two sons with whom he ran his restaurant. Oliviero Toscani, famed photographer and a long-time friend of Zazzeri, admitted in an interview with La Repubblica that he had no idea of what the chef had been battling with. He went on to add “Going to his place gave a sense of calmness, he was nothing like other rampant and aggressive chefs. He was humble, creative, ingenious”.